Exploring the Cheshire Ring Canals: “Wheer yo’ fro’?” said the man in tweed as he and his spaniel blocked my canal path. Quickly twisting the words in my mind, I deduced he either properly identified me as a foreigner or he thought I was a local and wondered where I was walking from. Taking the last first, I answered “Bugsworth Basin.” Now he had me, my California through-the-nose accent was a dead giveaway. “American are you?” now in proper English. “And you are from Lancashire,?” I said. “Aw’r (I were) but now I live here near Disley.” A chatty half hour later after a wide ranging discussion of politics, the economy and the unseasonably cold hurricane winds crossing the Atlantic from hurricane Ophelia, I was dutifully back on my walk to explore the Cheshire Ring Canals from Bugsworth Basin to the locks at Marple. I discovered the 97 mile Cheshire Ring Canals quite by accident several years ago when delayed at Manchester airport waiting for my wife to return from a trip. Wondering if I could find my mother’s former high school in Macclesfield, I drove the roads through Adlington in an easterly direction. As my father had observed during WWII, the little English roads weren’t exactly laid out in a logical pattern but, after a number turns at a roundabout, I could usually decide which direction to go – that is, if traffic was light. Avoiding traffic was the reason for leaving my BnB at Manchester airport on a Sunday morning at 6AM. I like to drive, but not on the wrong side of narrow English roads full of speeding automobiles and lorries. I never found my mother’s high school, but under the bridge on Buxton Road in Macclesfield, I discovered the Macclesfield Canal. Built during the Victorian age, in the early 1800s, horse-drawn canal boats brought essential supplies to weaving mills in Macclesfield. From the port of Liverpool via the Manchester ship canal came cotton from Egypt and New Orleans; from the Pennine hills separating Cheshire from Lancashire came the coal to power the mill’s steam engines; from limestone quarries in those same hills came the stone and cement to support the industrial age in Manchester. Commerce moved by canal but in just a few short years railroads brought an end to the canal era. Sadly, most of the Cheshire canals were abandoned and over the years filled with debris. 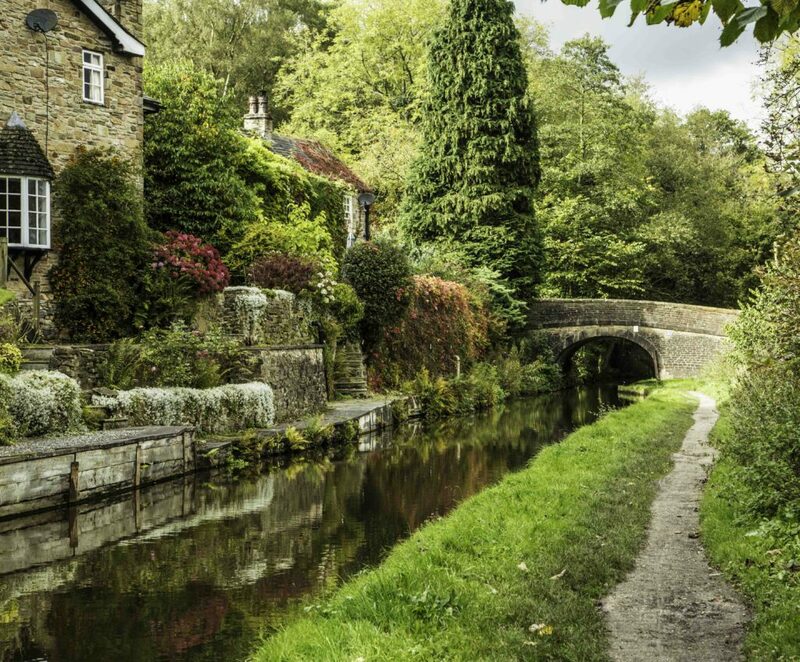 In the 1970s and 80s major grassroots efforts were launched to restore the canals. Today, after several decades of volunteer work, the canals are again vibrant. 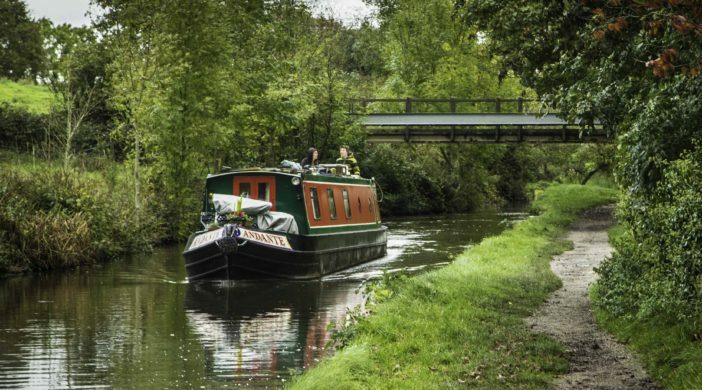 Restored and protected as part of the UK Canal & River Trust, they offer rich opportunities for recreational boating, hiking, canoeing, kayaking and biking. Mostly unrecognized by tourists, walking the canal tow paths offers sublime quiet solitude and full enjoyment of the beautiful countryside. An occasional visit to a local pub for liquid refreshment and sustenance provides a chance to meet and mingle with welcoming locals. 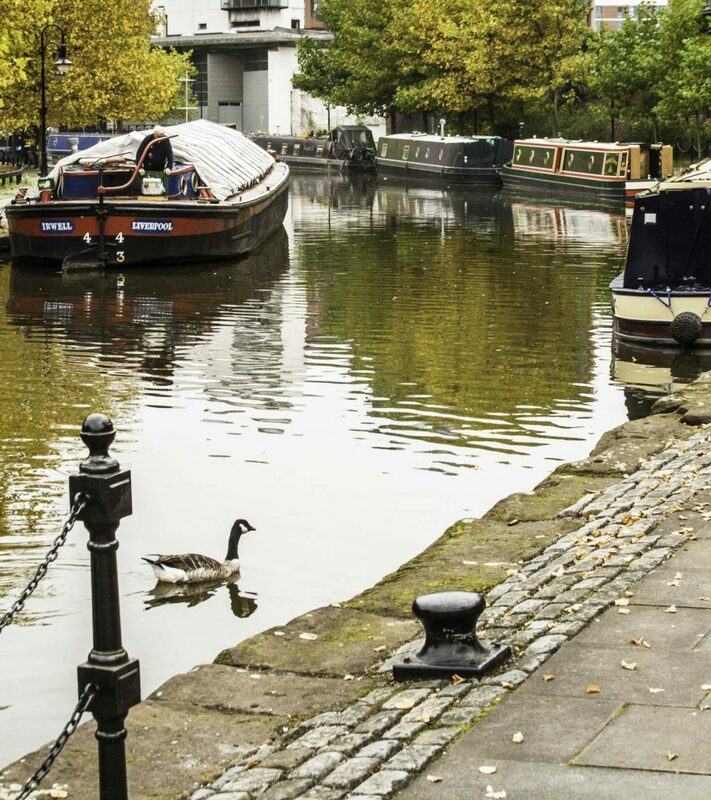 Canal boats are “narrowboats”, just 6 feet 10 inches wide, (but some are as long as 70 feet.) The narrow beam is needed to accommodate the narrow water-conserving locks on the canals. 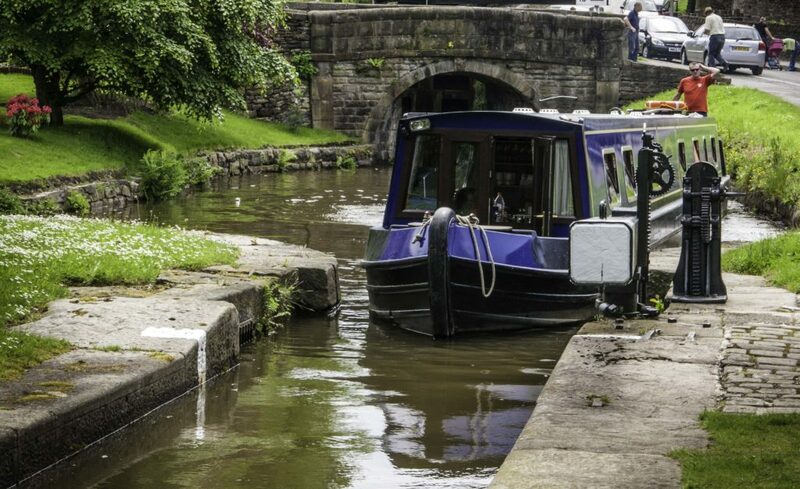 Many of the historic 1800s iron narrowboats have been lovingly restored and proud owners boast their origins on the bow or stern of brightly painted cabins. Narrow beam and long length gives new meaning to ‘open concept’ living, but the visual beauty of the woodwork in most boats makes up for the absence of shoulder and head room. 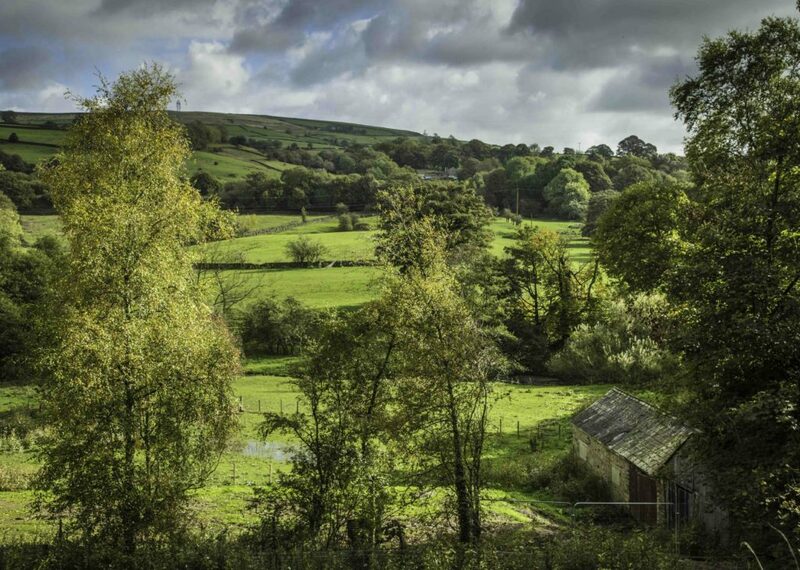 Over the past few years, I have sought out and explored different portions of the east Cheshire Ring Canals from Macclesfield to Marple Junction (11 miles) and up the Peak Forest Canal (6.5 miles) to Bugsworth Basin at Whaley Bridge. Each exploration has yielded uniquely satisfying vistas and friendly encounters. 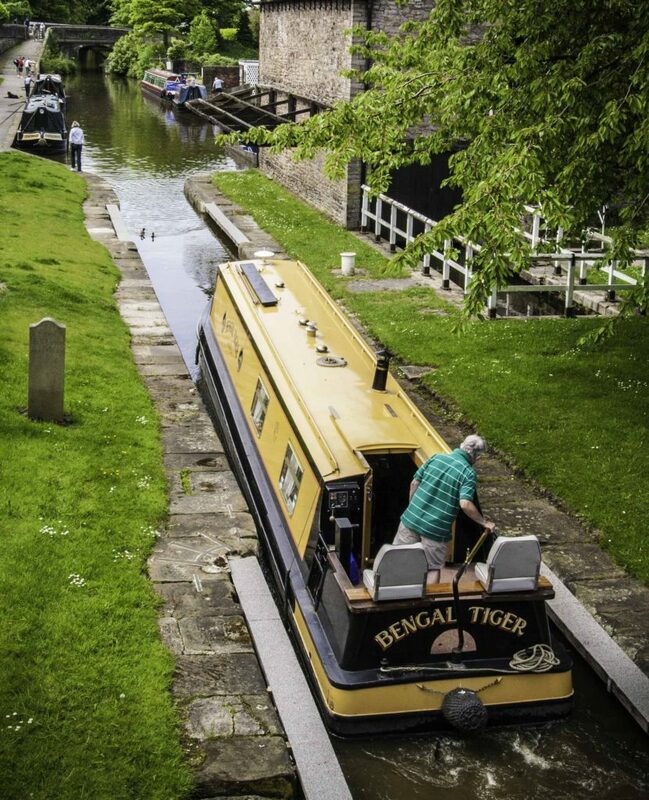 In total, the Cheshire ring constitutes 97 miles of canal paths. I am told by recreational canal boaters that the full leisurely circuit takes about 10 days to complete. Besides being narrow and heavy, the boats are propelled by traditional one cylinder engines. So the long boats are also very slow and on a brisk walk I was able to outpace most of them. Slipping along through the water like pregnant whales, there is a certain quaint lazy grace to their movement. It seems hard to get tense when moving along at 2 or 3 miles per hour. Their pace was intoxicating even for me while I walked and I found myself seeking a suitable stone wall every so often for a quiet reflective rest. 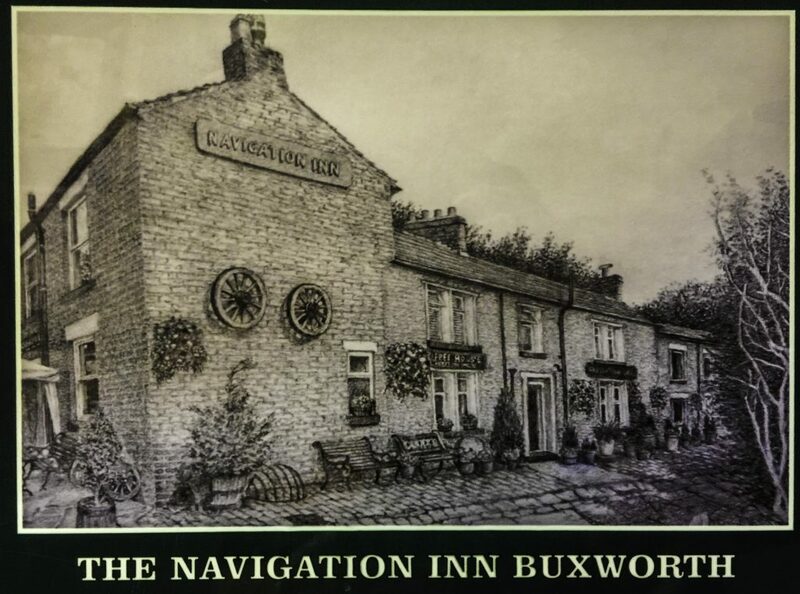 I stopped for an overnight stay at the historic Navigation Inn on Bugsworth Basin, (Johnson St., Whaley Bridge, HIGH PEAK, SK12 7LU.) It looks today much as it did in the early 1800s. Beware, the Cheshire boatman’s breakfast they serve up requires a really long walk – I skipped lunch. 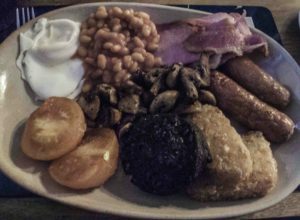 A hearty proper English breakfast: 2 eggs, sausage, bacon, beans, musrooms, tomoatoes, black pudding and hash brown potatoes; all served with tea, toast and jam.